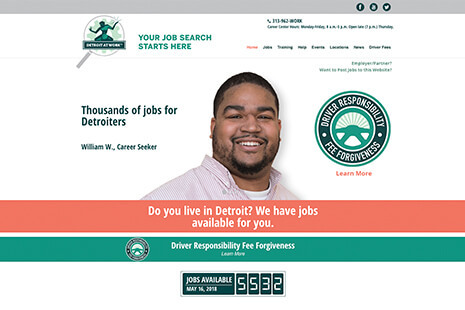 Detroit Employment Solutions Corporation (DESC) is a Michigan Works! Agency and the administrative and fiscal agent for workforce solutions for the City of Detroit. When DESC and the City launched an initiative to train 40,000 employees, they asked MCCI for help. We developed a microsite for registration purposes and promoted growing career sectors in the region, in-demand. Given the overwhelming response, the City and DESC approached MCCI for an updated design and functionality of the Detroit at Work website. 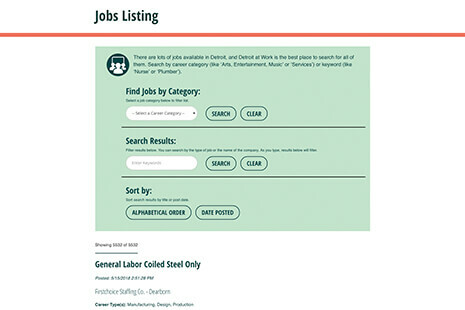 For version 2, MCCI’s web team implemented an RSS feed that automatically pulls available jobs from Pure Michigan Talent Connect and is fully integrated with outdoor digital advertising boards, set up a custom Training Search and added more content for direct jobseeker interaction to ultimately find a career and the training they need. 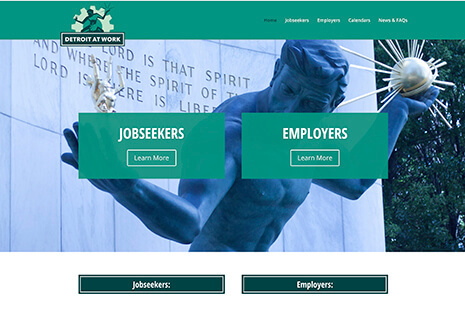 Two Detroit at Work homepages were created for Spanish and Arabic-speaking audiences as it is also integrated with other advertising efforts across the city. Since the site’s initial launch in 2017, the site has since recorded more than 55,220 users and 90,000+ unique page views. 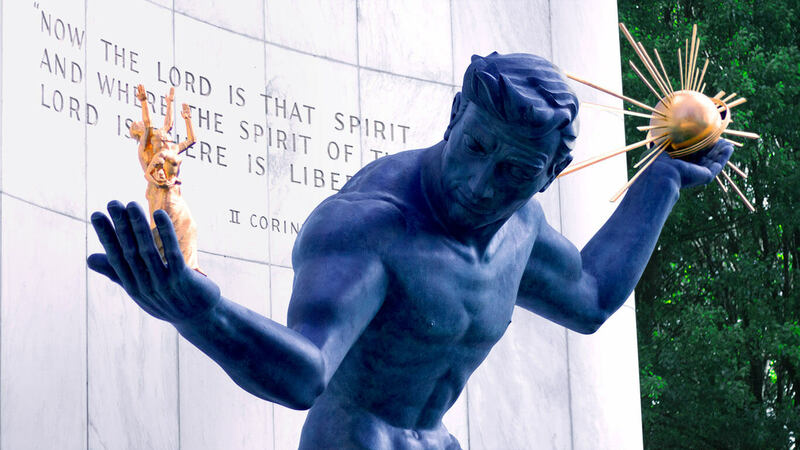 DESC and the City of Detroit enlisted MCCI to produce the monthly Detroit at Work e-newsletter with yearly averages of 18% open and 5% click rates.